How's this for a combination of flavors? Teriyaki sauce with Cajun seasoning. 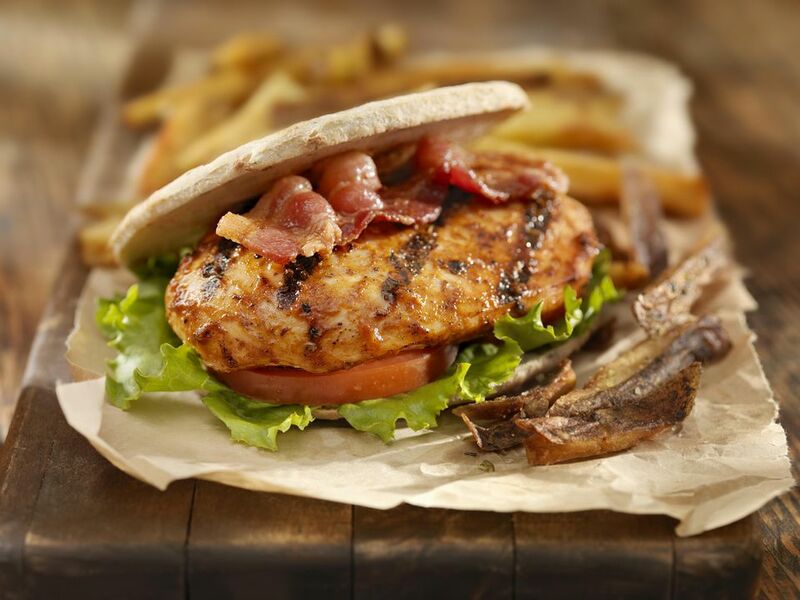 This chicken sandwich has it all including some real heat. Perfect for summer cookouts and tailgating events. 1. Pound chicken beasts to about 1-inch thickness. Cut into 2 equal pieces. Rub chicken with Cajun seasoning and place on a medium hot grill. Grill for about 5 to 6 minutes per side or until internal temperature reaches 165 degrees F. Brush with teriyaki sauce and remove from grill. 2. Assemble sandwiches with 1 chicken piece, two strips of bacon, 1 slice cheese, lettuce and 1/4 cup of roasted bell peppers.